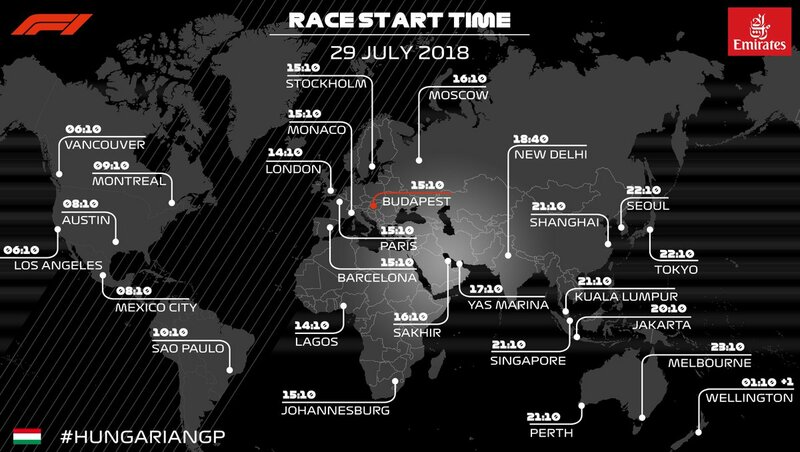 Hungarian GP 2018 Live Stream Final Race & Qualifying Race Result: When It Rain Bank It On Hamilton, The Briton Excels In Wet Condition to Take Pole In Hungarian GP. Lewis Hamilton once again showed his masterclass in wet conditions as took pole in Hungry with an exhilarating performance. It was a double delight for Mercedes on a track which is not supposed to favour them as Valterri Bottas grabbed the second spot. Mercedes will be having both their cars ahead on the grid on Sunday. The Ferrari took the 3rd and 4th position, however, this time around it was Kimi Raikkonen who proved to be faster than teammate Sebastian Vettel. Daniel Ricciardo of Red Bull couldn’t even make it to the Q3 due to tricky conditions, moreover, Verstappen who made it to the Q3 fell behind Renault & Torro Rosso and took 7th place. The final race is on tomorrow all teams would look to maximise their points as it is the last race before the summer break. 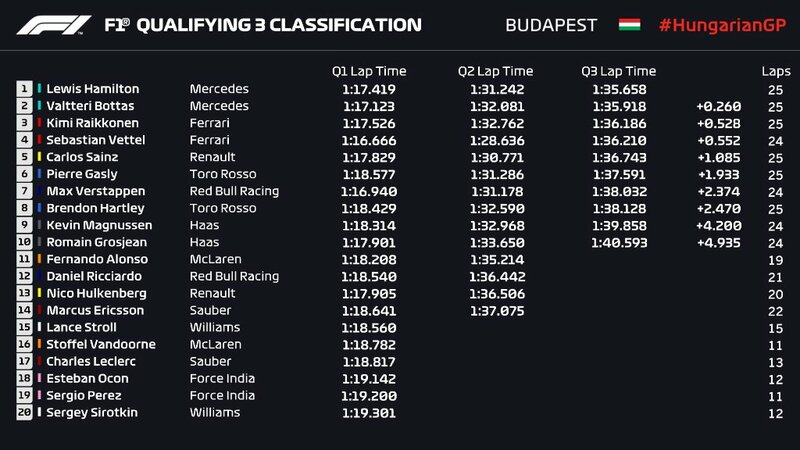 Sportsfeista brings you complete details of Hungarian GP 2018 Live Stream Final Race & Qualifying Race Result. The qualifying race at Hungaroring was quite dramatic as it was done in wet conditions. And who drivers better than Lewis Hamilton when the conditions are wet. On Saturday he showed his masterclass once again and took the fifth pole of the season 2018, it was also his 6th pole overall in Hungrian GP. For Ferrari & Red Bull the things completely turnaround as soon as the rain arrived. Red Bull & Ferrari have been dominating the practice races at Hungaroring both on Friday & Saturday but they failed to deliver in wet conditions. Ferrari grabbed the third and fourth spot, however, for Red Bull Daniel Ricciardo unable to enter Q3 and Max Verstappen ended up grabbing 7th spot behind Sainz & Gasly. 📻: "Fernando, do you want new inters or wets?" Thinker, Blogger, Content Creator, blogs about sports, finance, e-commerce and fashion, loves poetry & short stories. SummerSlam 2018: Why Brock Lesnar vs Roman Reigns Is Mistake & How WWE Can Correct It?